Freshman quarterback JT Daniels completed fewer than 50% of his passes and threw two interceptions in USC’s 17-3 loss to Stanford on Saturday. The three points were the fewest Southern Cal had scored in a game since being shut out by Washington in 1997. But bettors aren’t shying away from USC in its Week 3 matchup against Texas (Saturday, 8 p.m. ET). More than 70% of spread tickets are on the Trojans as 3-point underdogs even though the team has failed to cover in its first two games. The Men of Troy slipped only from No. 17 to No. 22 in the AP Poll, as well. Ranked teams tend to be overrated by the public, so USC getting a majority of bets isn’t too surprising. It’s also important to not overreact to one game, but USC also looked pedestrian against UNLV. It trailed the Rebels for much of the first half before pulling away in the fourth quarter. 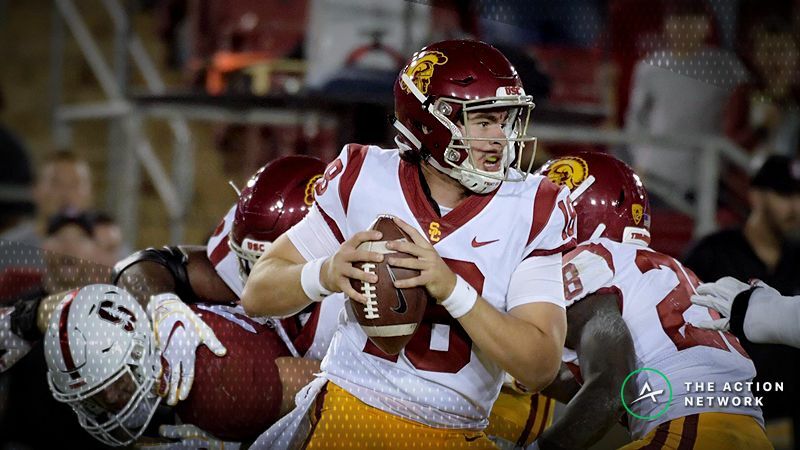 It appears pollsters and recreational bettors are crediting USC for what it did in 2017 (11-3, Pac-12 Champions), not the team we’ve seen on the field this season. This could be a problem for bettors, as it’s been costly to bet ranked Power 5 teams after a loss. Square bettors anticipate a ranked team bouncing back after a loss and they usually do, winning nearly 70% of their games since 2005. However, according to Bet Labs, bettors wagering on top 25 teams from the ACC, Big 12, Big Ten, Pac-12 and SEC after a loss have gone 204-246-11 (45%) against the spread despite the high winning percentage. Ranked teams from the Power 5 conferences that lost the previous week by 10 or more points have gone 85-124-5 (41%) ATS the next week. Betting against ranked Power 5 teams after a loss of 10 or more points has covered at 59% ATS. A $100 bettor would have returned a profit of $3,209 following this system. There is lopsided betting action on USC, but the line is holding steady at Texas -3. This suggests public money is coming in on the Trojans. Many bettors are expecting Southern California to bounce back but they could be disappointed by Saturday’s results.